Oscillating spindle sander and belt sander combo. this item was bought by Diyode at Busy Bee Tools. This heavy duty sander features a powerful oscillating spindle sander and a multi position belt sander to tackle just about any job. 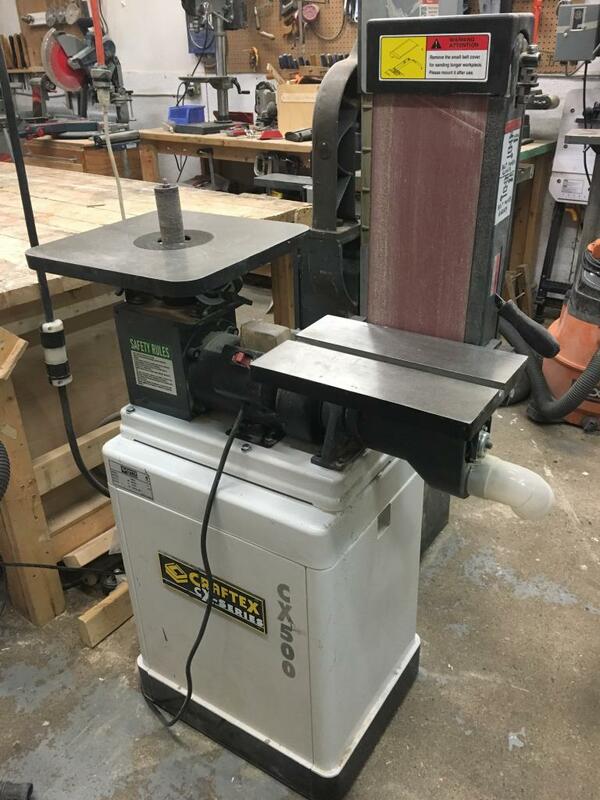 The oscillating spindle sander features 4 popular spindle sizes which uses sleeves of sandpaper for quick and easy changes. Both tables tilt for added versatility and built in dual port dust collection make for easy clean up.